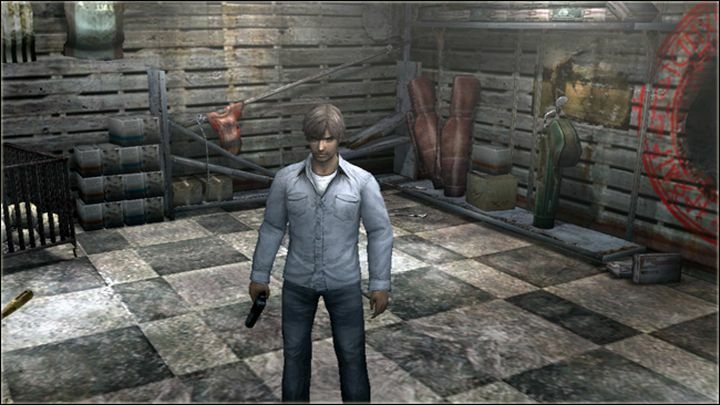 This Silent Hill game wasn’t as inspired as the previous three entries, but still had its charms. Silent 4: The Room put you in control of Henry Townsend, a man who ends up trapped in the titular “Room” (his apartment in the game). He’s sealed in actually, and can’t get out to the real world. You did get to spy on your neighbours here, though, engaging in a bit of voyeurism, and seeing the likes of neighbour Eileen go about their daily lives for instance… These parts played out in first-person perspective, a refreshing change from the third-person action of the earlier games. The rest of the game is played in the traditional third-person perspective, though, letting you explore locations accessible through dimensional portals in Henry’s apartment. This is also bloodier than parts 1 to 3, and likely some were turned off by the gore on display here. Silent Hill 4 also mostly ditched the puzzling of the first three games and focused on combat, which wasn’t bad, but hardly exciting. And the new locations like Ashfield (another haunted Silent Hill-esque town) and a subway were good-looking, but not stellar. All in all, this is a decent Silent Hill game, but one that nonetheless failed to reach the heights of the original games. Came out on: PC, PS3, PS2 and Xbox.